After his father dies in a freak accident, Jack vows to do whatever it takes to bring him back. He begins a journey that will show him how much of a difference one person can make. Throughout the journey Jack will find new masks that give him the ability to do things he never thought possible. 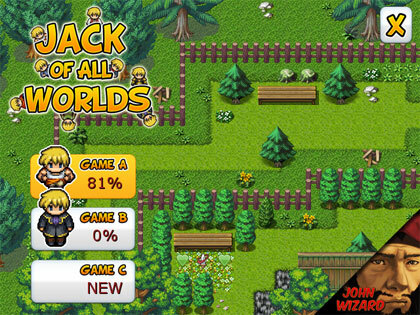 In order to change history and prevent his father's tragic death, Jack will need to become the ... Jack of All Worlds! ...... In order to change history and prevent his father's tragic death, Jack will need to become the Jack of All Worlds! Qweas is providing links to Jack of All Worlds 1.0 as a courtesy, and makes no representations regarding Jack of All Worlds or any other applications or any information related thereto. Any questions, complaints or claims regarding this application Jack of All Worlds 1.0 must be directed to the appropriate software vendor. You may click the publisher link of Jack of All Worlds on the top of this page to get more details about the vendor.